There will be a film festival with screenings of documentaries, and feature films as well as panel discussions and Q & A sessions. 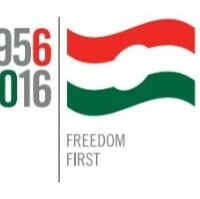 The audience is invited to experience the 1956 Hungarian Revolution and Freedom Uprising from several different perspectives including: sport, love, the Canadian and the Hungarian refugee’s perspective. Tickets can be purchased in advance for $5 by calling TIFF Box office 416-599-8433, or free at the door at 350 King St. W.